3. URL of spoof website very obviously not PayPal. 4. URL disguised as https://www.paypal.com/cgi-bin/webscr?cmd=_login-run . Looks secure (https), but isn't! 6. 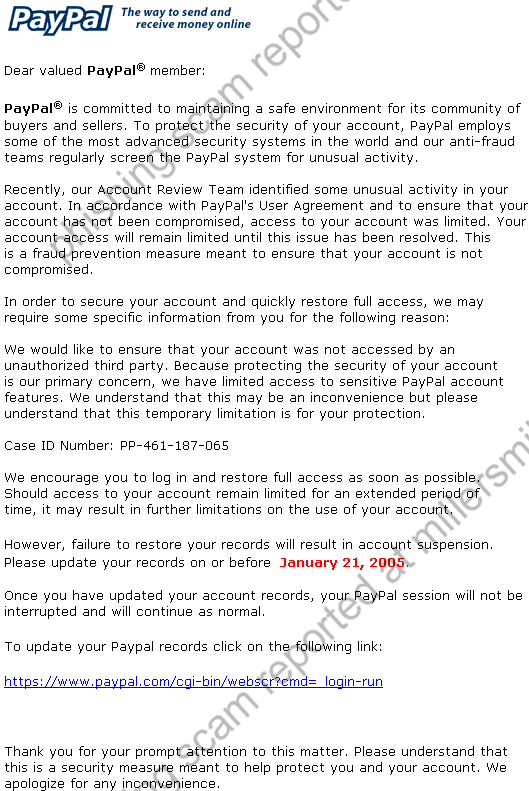 Website not online at time of report, but likely to resemble the real PayPal login page when active.
" Dear valued PayPal ® member: PayPal ® is committed to maintaining a safe environment for its community of buyers and sellers." Not online at time of report, but likely to resemble real PayPal website.